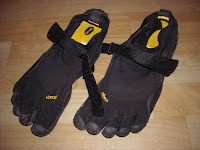 Mountain Strider: First days with Five Fingers KSO! "This is what I need!" 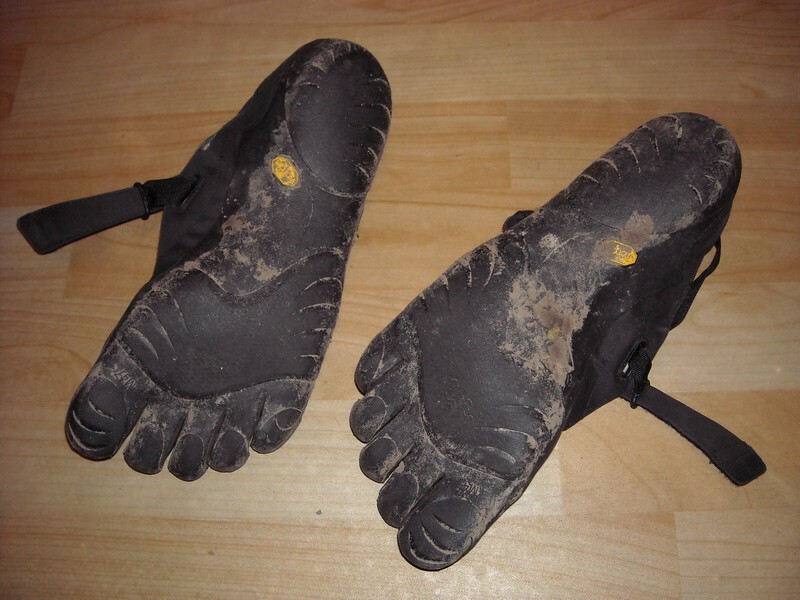 That´s my impression after first two days walking with my new Five Fingers KSO (size 47). I am trying to control myself and be cautious, but it´s so great to walk and run in these simple but awesome "shoes". I have flat feet and the thing what doctors called "supinus", plus my last two toes are very short (and my shoe size varies from 12 - 13,5 UK). I really wasn´t sure, if the FF would fit me, but I was very surprised and now it´s like wearing second skin. The biggest change for me is in walking - running in FF seems ok so far, because I am used to run and I don´t have problems landing ball of the foot first. The walking is different - I can see how much I am used to walk in classic shoes and so landing my heel first, but that´s not very comfy in FF with no heel cushioning. It´s really like learning to walk all over again from the very begging. And it´s fun! I am exercising at home and I really take care about my feet now - I believe it´s gonna help me a lot. edit - weight for a pair of size 12 is 425 grams.